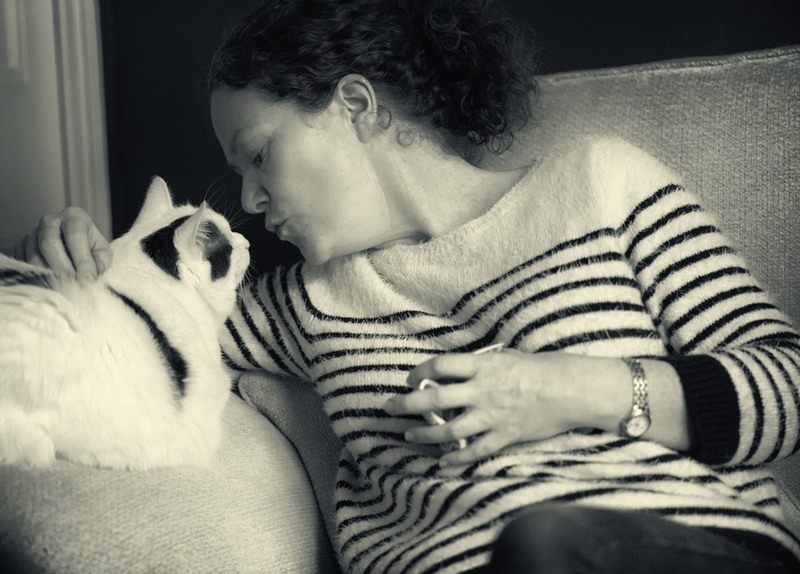 Our friend and her cat; 1 Mar 2015. We went to visit our friends, a truly lovely family, and, as usual, I slouched back indolently in an armchair with this damned great camera and lens perched on my paunch, enjoying the moment. Their front room has a bay window with translucent panels that looks out onto the street and, as often happens, the light in that room was diffuse and gorgeous. Things caught my eye but I was too slow with the camera. Then their friendly cat got up on the arm of the sofa, and sat there, contentedly wagging her tail. She enjoys human company, probably for the sounds, and she sits or lies with us for long periods. An open fire was an especial draw for her on that chilly afternoon. Suddenly our friend reached out to stroke the cat and murmur something to her, and my camera came up and caught this single frame. What do I like about it? Well, of course, the interaction, there’s eye contact there, and also some kind of, if not friendship, then calm familiarity – these two living beings know and trust each other, at the very least. I like the way our friend is leaning across the sofa, introducing a dynamic that heads up towards upper left, at right angles to the cat’s gaze. And then there are the sidelit curls and textures in her hair – and a striped sweater that is crying out for black and white photography! The occasion was good too because, having had medical dressings on my face, it was the first time I’d used a camera in seven weeks or more, and it was very good to “get back behind a lens” again. Click onto this image to see a larger version in a separate window. Technique: D700 with 105mm Nikkor lens, used wide open; 3200 ISO; Dfine 2; Silver Efex Pro 2, starting at the Full Dynamic Smooth preset. 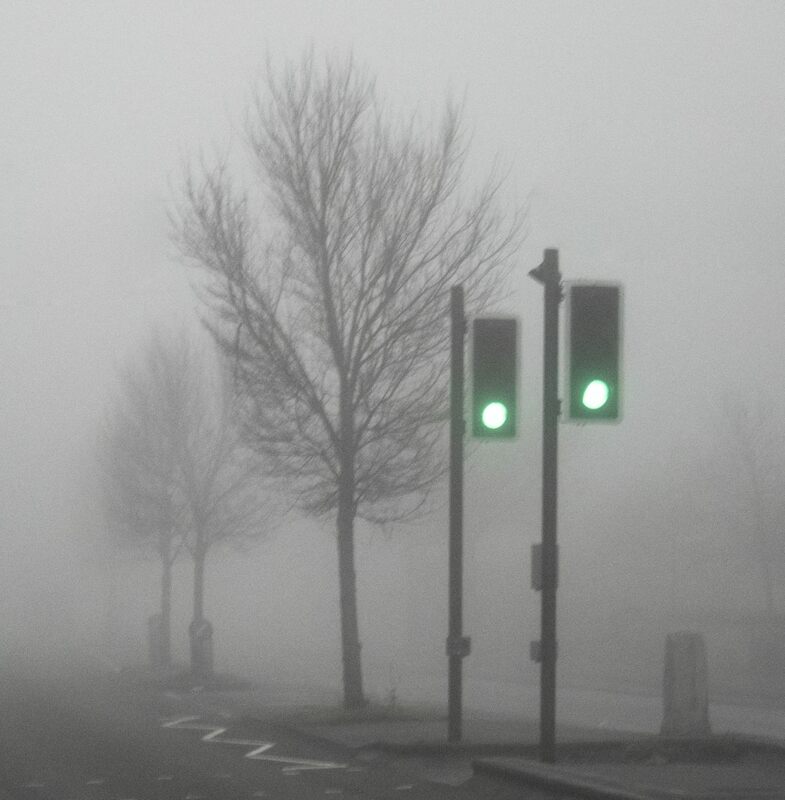 A dull, dark morning, and Long Moor Drove makes off westwards across Liberty Moor. 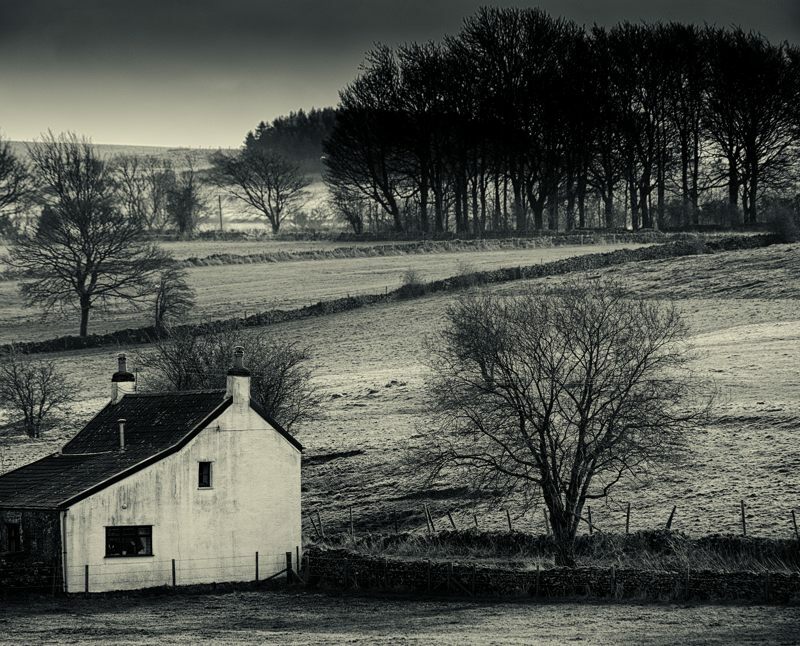 Technique: X-T2 with 55-200 Fujinon lens at 83mm (equiv); 800 ISO; Lightroom, using the Provia/Standard film simulation; Silver Efex Pro 2, starting at the Strong Infrared Low Contrast preset and adding a split tone; Liberty Moor, on the Somerset Levels; 22 Mar 2019. Looking southeast from Eastwater Lane, high up on the Mendip plateau in Somerset; 4 Feb 2014. In their central and western reaches, the Mendip Hills are a steep sided and formidable, west-east barrier of hard, old (Palaeozoic) rocks. They have the Old Red Sandstone of the Devonian period in their cores, and the Carboniferous Limestone all around. But especially in their central area, these precipitous slopes give up onto a flattish or gently undulating plateau, with sturdy farms huddling amongst windbreaks, and pubs with evocative names – names that recall my youth and things that have always been a part of my life – the Castle of Comfort, the Miner’s Arms and Hunters Lodge. 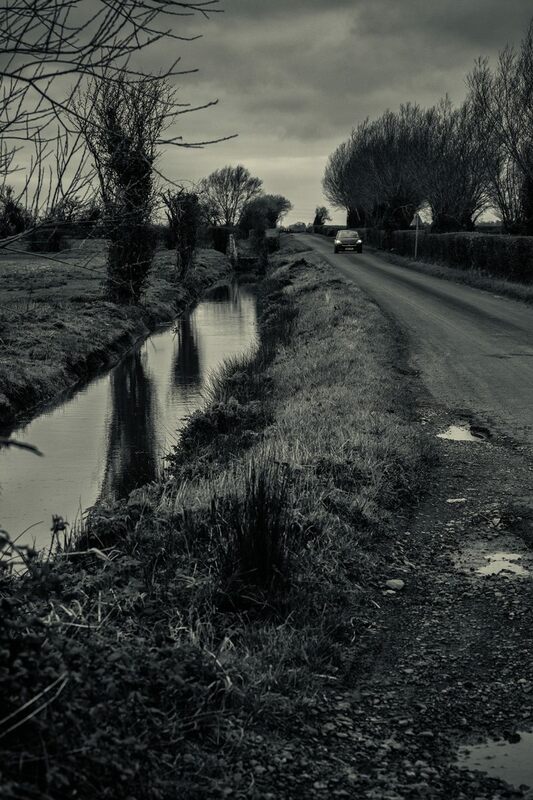 Wondering about floods, I drove up onto Mendip yesterday, and spent some time in Eastwater Lane – a favourite place because it is a dead end and so has no through traffic. I was also around the village of Priddy. It was a cold, damp day, initially lit by pale, glinting sun, but with dark clouds and spitting rain all too soon coming up on the gusting southerly. 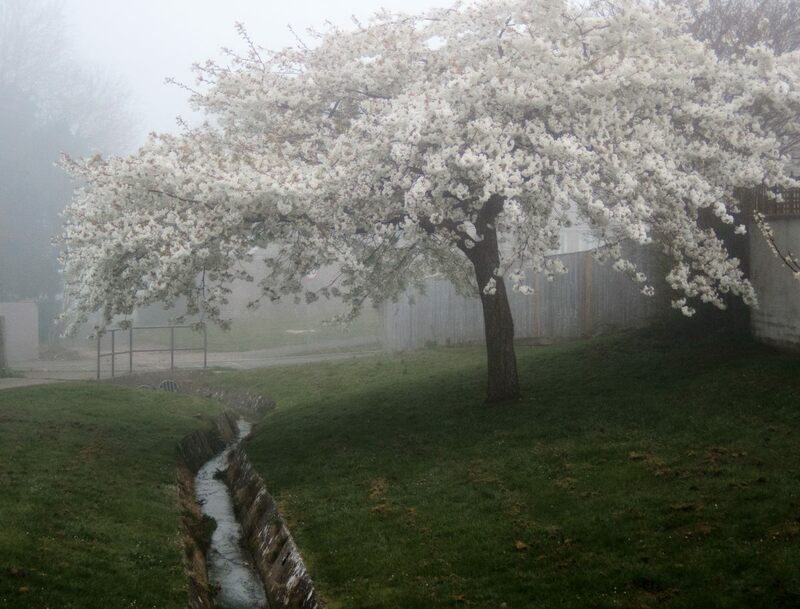 There were flood warnings in several places, but the waters had either subsided, or were only thinly masking the little roads – although all of that may have changed with the storm that hit us later yesterday afternoon and overnight – and today too. I walked along Eastwater Lane, enjoying the sight and atmosphere of the Bronze Age round barrows on the hill crests, and seeing where streams running down from the sandstone hilltops disappear underground into caverns as soon as they encounter the far more soluble limestone. Here was Eastwater Cavern, that I descended as a plump, pudgy teenager, and I tried to recall if I’d become stuck in it or not. Yes, is the probable answer, as I had to be helped through many a difficult cave by my school friends – but the vast Swildons Hole, from which the Mendip Cave Rescue had to come out and extricate me, is off towards Priddy. I made the local papers – I think I was 16 at the time. Technique: D800 with 80-400 Nikkor lens at 400mm; Silver Efex Pro 2’s Film Noir 3 preset. Gazing at agricultural rubbish on the western edges of Tealham Moor, and loving it, loving the real, bare, unembroidered, what-you-see-is-what-you-get nature and feel of the place – when a male Blackbird appeared on top of a hedge and looked at me. Well, this is the breeding season and the fierce and fiery hormones of territoriality were coursing through his veins. He was disinclined to move – I was on his territory, and that was that. The new Z 6 was in my hand, with the lens I’m married to – the 70-300 zoom – attached, and it was the work of an instant to change the camera to APS-C format – so that my telephoto expanded from 300mm to a more far reaching 450mm – and, very carefully and slowly, I raised the camera to my eye. The light was dreadful and I needed a high shutter speed to ensure sharpness at the x9 telephoto magnification, and so to wide open at 1/1600th and 3200 ISO – and to very gently squeezing the trigger. This is a cropped version of one of the photos – 1521×1079 pixels. Here he is. The Z 6’s shutter is not loud, and very carefully I took a series of shots, he and I both like statues, eyeing each other. Technique: Z 6 with 70-300 Nikkor lens used in APS-C format at 450mm; Lightroom, using the Camera Neutral V2 picture control; Tealham Moor, on the Somerset Levels; 12 Apr 2019. Exploring out on Queen’s Sedge Moor, not far south of the tiny city of Wells, in filthy conditions – rain falling from grey overcast, lots of surface water and simply heroic amounts of mud. And then onto this little single track road heading for the tiny village of Barrow – when a van, obviously driven by a local, someone who knows the place – rounded a corner and came straight at me at speed. There was no danger, this image was taken with a 450mm telephoto, which gives x9 magnification, and so it was still quite far off – but it put on speed through the surface water and spray flew everywhere. 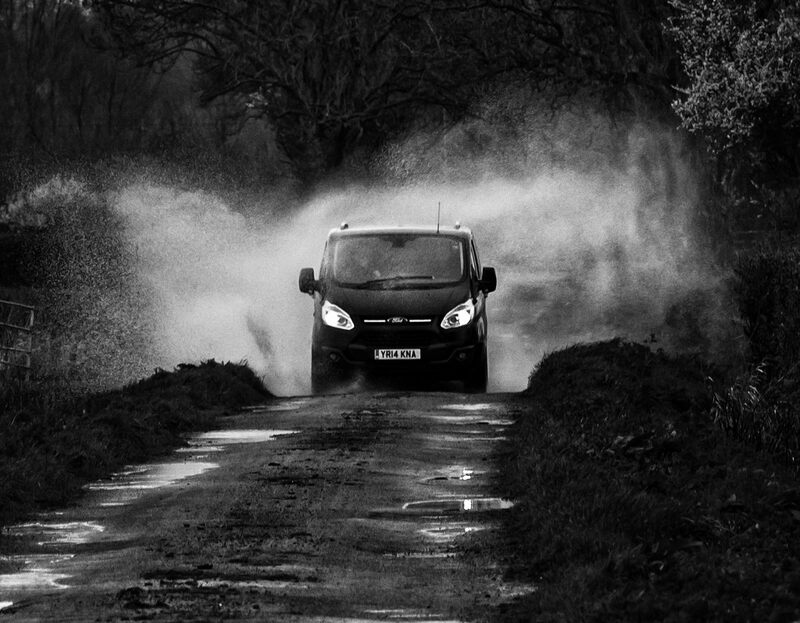 Lots of familiarisation with this new camera paid off: I just had time to engage Continuous Autofocus, focus onto the number plate, hold down AF-ON and start firing – three frames and then the vehicle was on me and I was off into the (very soggy) roadside grass. But, as is often the case down there, a cheery wave from the driver – after all, if I choose to stand in the road, its my lookout! Technique: Z 6 with 70-300 Nikkor lens used in DX (APS-C) format to give 450mm; 1600 ISO; Lightroom, using the Camera Neutral V2 Picture Control; Silver Efex Pro 2, starting at the Dramatic preset; Queen’s Sedge Moor, south of Wells, on the Somerset Levels; 5 Apr 2019. 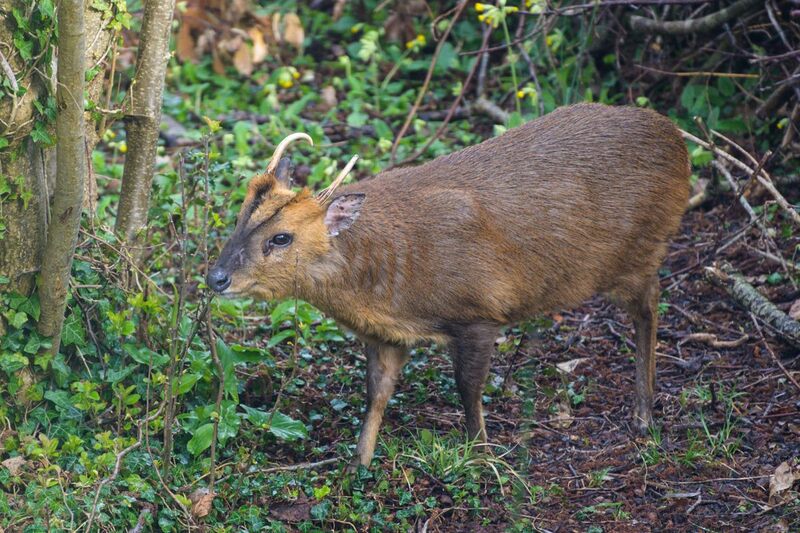 Muntjac stag – its about Fox-sized. Z 6; 1600 ISO; 70-300 Nikkor lens used in DX (= APS-C) format to give 450mm; uncropped; Lightroom; our back garden, Bristol; 3 Apr 2019. I posted here about buying the Z 6, one of Nikon’s new full frame mirrorless cameras, giving my initial thoughts. Since then, I’ve been reading (and using a red biro to scrawl all over) the 247 page instruction manual that (thankfully!) comes with the camera, and configuring the camera to my way of working. 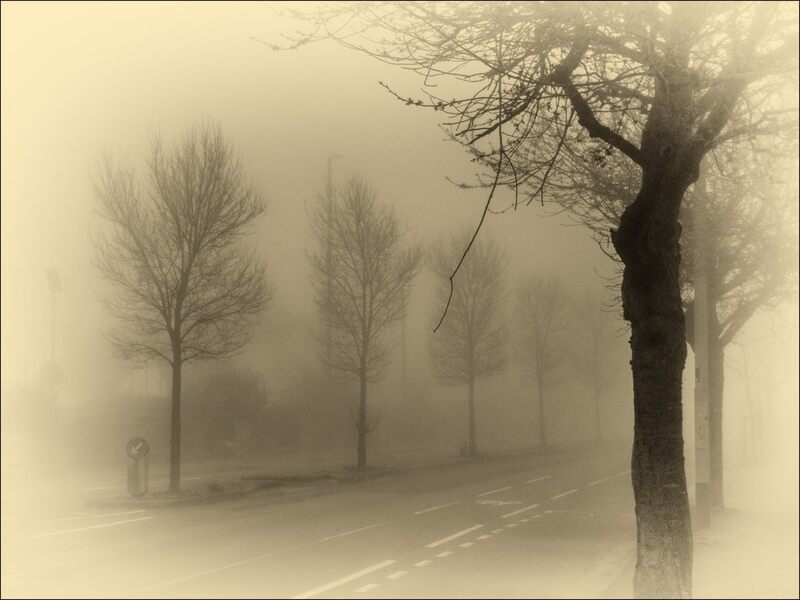 Then I’ve been sitting in my beloved armchair, interminably taking pictures and altering settings, in an attempt to have the layout of the camera’s controls become second nature to me – so that I won’t have to think before altering anything. And I planned a visit to the Somerset Levels to have a first go with it outdoors, in the real world. But fate intervened. 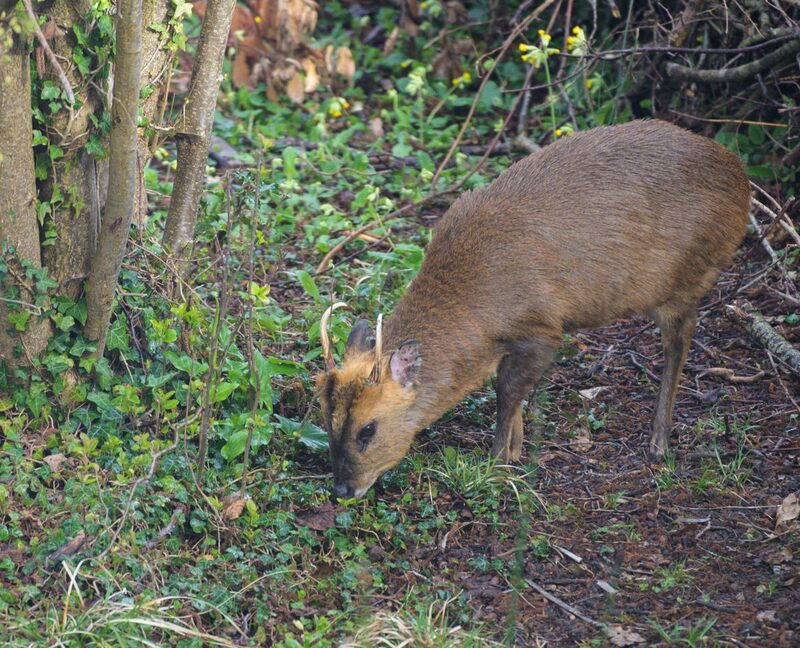 I’ve posted before about the Muntjac Deer which frequent our quiet and secluded back garden. They have been introduced to the UK from China and, quite simply, we delight in their presence. 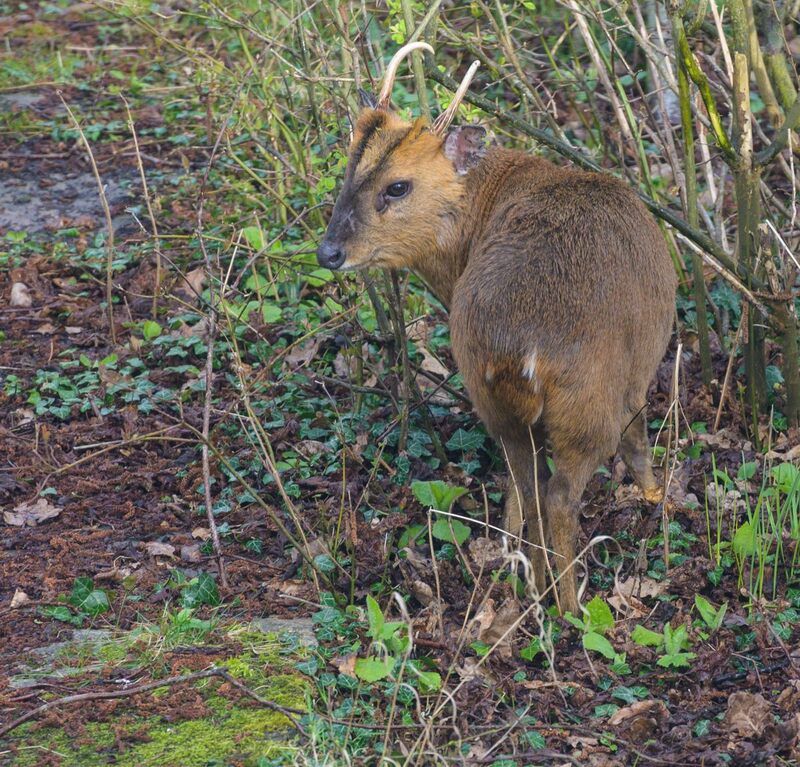 They are small, decidedly skittish, and we have been especially delighted to see one or two of their fawns. We’d not seen them for awhile, and so their reappearance caused some excitement – and there was the Z 6 charged and ready, mounted via the FTZ adapter with one of my favourite lenses – the 70-300 AF-S Nikkor. And so to using this new camera in anger for the first time. As I said, these animals are very skittish, being spooked by the slightest noise or movement, so that opening the kitchen window was out of the question. So the pictures had to be taken through the double-glazed window and, because our kitchen window is up above the garden, the camera was looking down at an angle through the double-glazing, rather than horizontally straight through it. The deer were about 30ft-40ft away. All images can be enlarged by clicking onto to them to open another version in a separate window, and clicking onto that image to further enlarge it – recommended. Same animal. Z 6; 1600 ISO; 70-300 Nikkor lens used in DX (= APS-C) format to give 405mm; cropped; Lightroom. In terms of handling and ergonomics, the Z 6 works just wonderfully. It has a large, deep handgrip and a well positioned thumb rest, and just feels completely at home in my hands. Many of the buttons and dials fall under my fingers or thumb, and many are in the same positions as those on my D800. It just feels good to use and, with the 70-300, feels very well balanced. As with my other big Nikons, I’m using an OP/TECH USA neck strap intended for heavy DSLRs. This is a little overkill for the distinctly leaner Z 6, but I’m still using fairly large Nikon F-mount lenses (esp the 70-300) and I’m not getting any younger: these wide OP/TECH straps really do spread the weight across the shoulders very well, and they’re quite reasonably priced. I used Aperture Priority mode (as I nearly always do), and 1600 ISO. The pictures were split between full frame format, where the longest reach of my lens is 300mm, and DX (= APS-C) format, where the reach is lengthened to 450mm; entirely handheld. Full frame images have 24.5MP; DX format has 10.3MP. All images used stabilisation. Some think that Nikon’s images can be a little cold in tone, and so I’m using the new Natural Light Auto white balance, which looks natural. I’ve taken all focusing functions away from the shutter release, and the large and ideally (and traditionally) sited AF-ON button (back button focusing) works wonderfully. 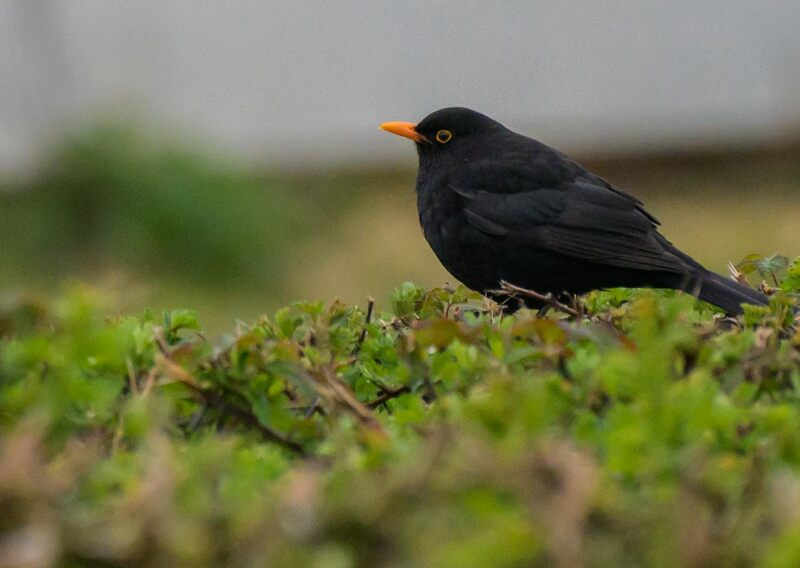 In this test, through double-glazing, the autofocus was very quick and sharp. Same animal. Z 6; 1600 ISO; 70-300 Nikkor lens used in full-frame format to give 300mm; cropped; Lightroom. Immediately below the AF-ON button is the joystick and this works well too, again well sited below my right thumb, and enabling me to move the focusing point rapidly around the frame. I’ve opted for it jumping to every other focus point, for speed of use. Pushing it locks the exposure. And immediately below the joystick is the customisable i button, which gives quick and easy access to a very useful range of camera settings. The exposure compensation button is not so well placed, and so I’ve customised the main command dial, which I can easily reach with my right thumb, to adjust exposure compensation without using the button. Since I don’t take videos, the movie-record button has been cannibalised to quickly switch the camera between full-frame and APS-C format with the aid of the main command dial. The camera’s excellent Electronic Viewfinder (EVF) is set to Prioritize Viewfinder mode: looking through the viewfinder turns it on, taking my eye away turns it off; the monitor screen remains off until I review my images (when finger swiping can be used on the touchscreen) or look at the menus. I’m not using all of the touchscreen facilities, but its reassuring to know that the touchscreen is turned off while the viewfinder is being used. Firing off 25 or so pictures, with much autofocus use, brought the battery down from full to 84%: a spare battery may be needed for a day out, although Nikon says that 310 shots can be taken on a full charge. Then a Sony QDA-SB1 XQD card reader gets the images from the camera’s Sony 64GB QS-G64E card onto my PC, where the images are read into Lightroom Classic CC. Lightroom doesn’t seem entirely at home with the Z 6 yet: there are issues with sharpening parameters, which are addressed here . Click onto this image to open a larger version in a separate window, and click onto that image to enlarge it further – recommended. Kid Gate Drove, on the western edge of Tealham Moor, surfaced with tarmac and making off to the south – one of my main access roads onto the Levels. On the left, the stumps of two old pollarded willows, mostly dead now but still with a few new twigs, and with their bark peeling off to expose the pale, dead wood underneath. 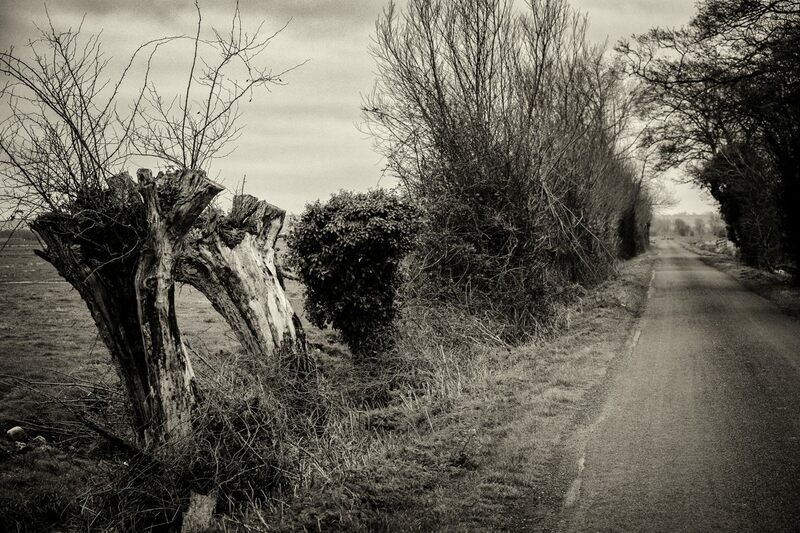 Technique: X-T2 with 55-200 Fujinon lens at 83mm (equiv); 3200 ISO; Lightroom, using the Velvia/Vivid film simulation; Silver Efex Pro 2, starting at the Sepia Landscape preset; Kid Gate Drove, west of Tealham Moor, on the Somerset Levels; 22 Mar 2019.